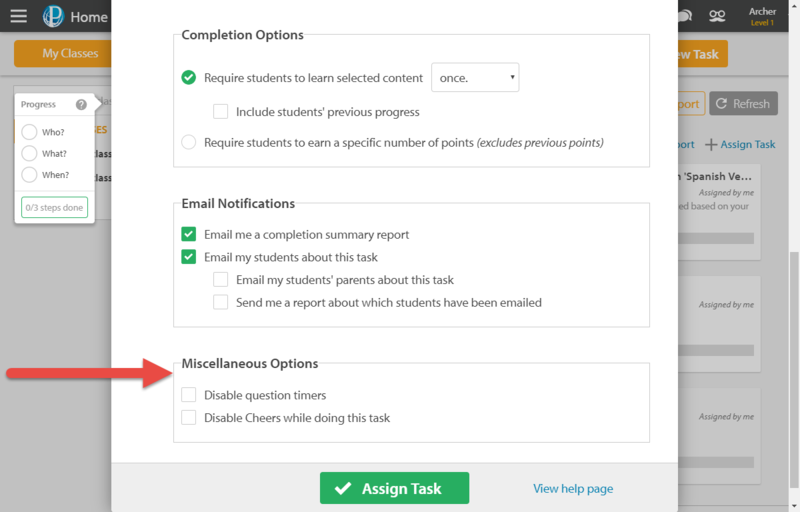 How do I stop my students from receiving cheers in class? 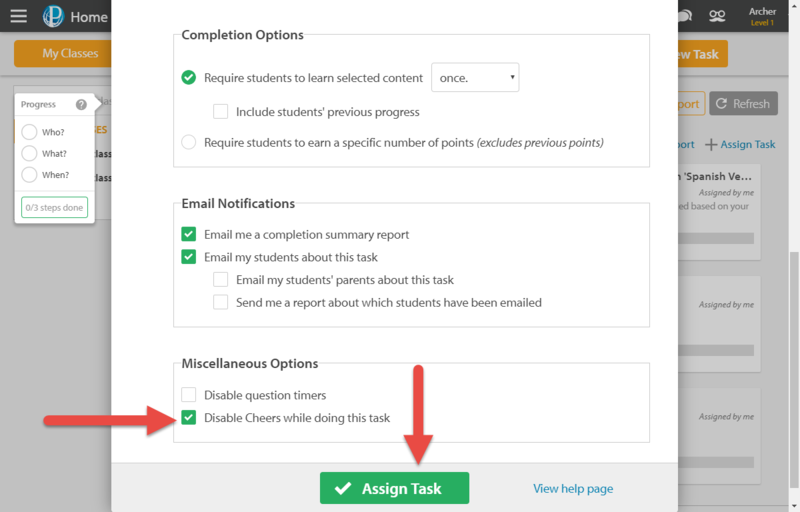 You can prevent students from receiving cheers by choosing to disable them when creating a task. If you need to completely block your students from cheering each other, get in touch with us at support@educationperfect.com. 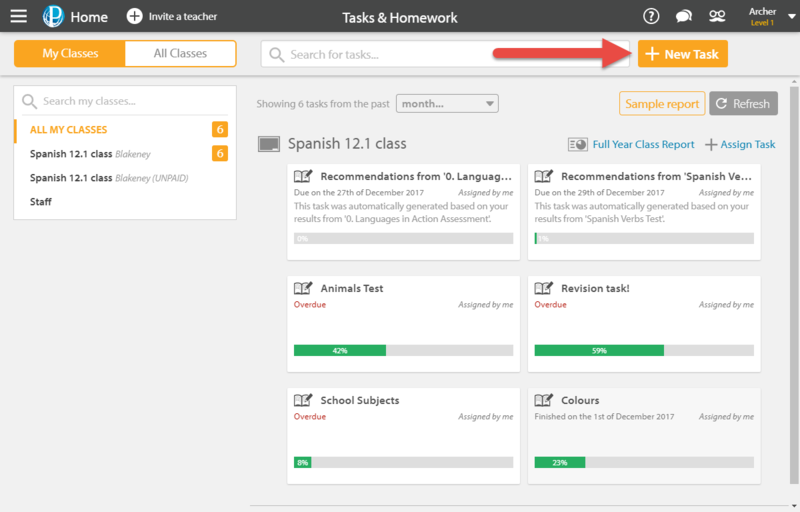 Set up the first four sections of your new task as normal, but before you click Assign Task, select Optional Settings.